The Red Skull is a result of a troubled childhood, among the worst in Marvel Comics. Before being known as the Red Skull, Johann ShmidtÂ was nearly killed by hisÂ father, who constantly abused his mother. Johann later became a runaway orphan at the age of 7 living on the streets. He grew up desiringÂ to take over the world, an ideal which was from while a protÃ©geÂ to Adolf Hitler.Â The Red Skull became the embodiment of Nazi intimidation, in turn making him the #1 enemy to Captain America. One of Red Skull’s interest was advanced weaponry, which was created by Hitler’s special scientists. These weapons where used in Red Skull’s ruthless rampage through Europe. 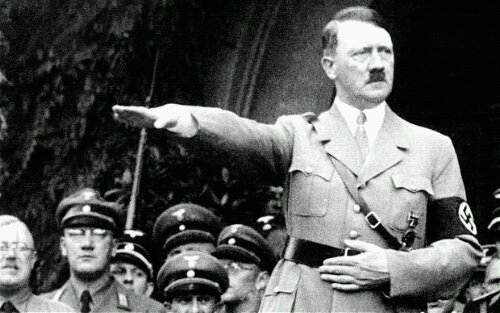 His growing force of evil even created fear in Hitler. During this time, a mutant weapon was located in the Nazi prison camps by the name of Â Erik Lehnsherr. 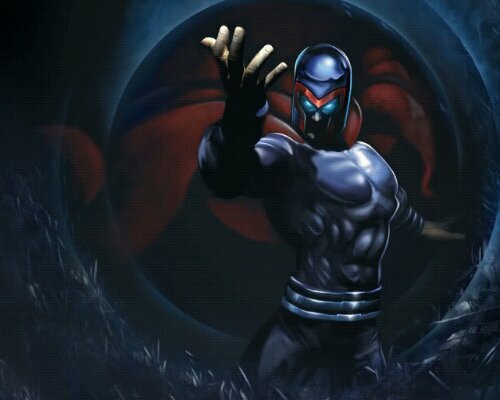 If the Red Skull was aware of young Lehnsherr earlier, would there have been a Magneto? 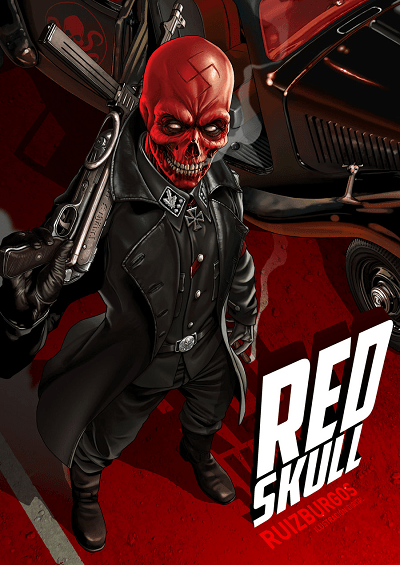 Red Skull has made cameos on television shows such as Avengers: Earth’s Mightiest Heroes and Spiderman. 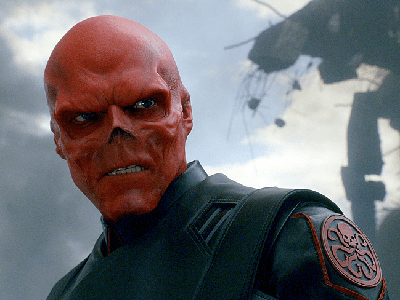 The Red SkullÂ was brought to a live action sequence inÂ Captain America: The First Avenger, portrayed by Hugo Weaving. Did Marvel Studios hit the mark with this live character? Will the Red Skull be later revived in the Infinity War Movies Series of Avengers? 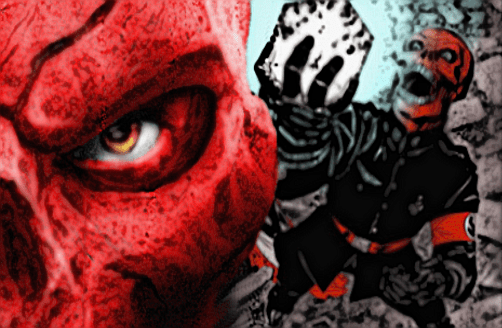 Comic Multiverse fan favorite artwork of Red Skull goes to DeviantArt artist; codename: OnlyMilo. Excellent Work! The Greatest Captain America Stories Ever Told Hits the Top 40!